Xecutive Security Investigations Group, Inc. - We’re Always Watching…So You Don’t Have To! XSIG has a network of selected armed and unarmed security providers that meet our selective standards. Our security contractors must pass our qualification test to be approved. Supervision is highly maintained on each security contract we manage. 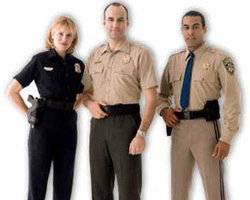 Our Security Services Division bids on federal, state, and local government security contracts. We also provide private businesses and individuals with security services including guard services for corporations, apartments and homeowners ssociations, office buildings, and security for private events.